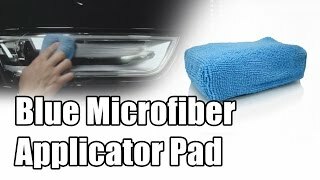 I use these applicator pads in my home to clean the dust off of and wax my wood furniture. I also use them on the interior of my car when applying dressing. 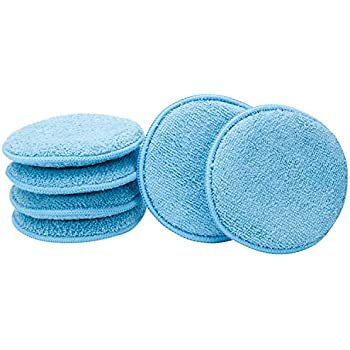 These pads are not of the highest quality microfiber, but they get the job done for my needs. I actually have never tried washing one so I cant comment on how they fair after washing. I usually just use them a couple times until they are to dirty to use again and throw them away. I’ve only had these a few days but I have found so many uses for them, I’m ordering another pack. First, the car–I have a product I like for the dashboard but it comes is a non-aerosol spray bottle which, of course, gets the product in all the places I don’t want it to go, so I pour it in a 16 oz. plastic condiment squeeze bottle with the cone tip and tiny hole. I then squeeze some onto an applicator and apply the product where I want it. This applicator pad has a bound thin edge so you can get in that space where the windshield meets the dash and all kinds of tight, oddly shaped spaces that used to drive me nuts. It will take the shape of the cupholder to clean with a twist or two. Ditto on cleaning the wheels. I use one to apply leather cleaner, one damp to remove excess cleaner, one to apply leather conditioner, and a dry one to buff. They are the perfect size and shape to work in the car, on my leather furniture, and on my purses and boots. I keep one in the car and one by the door to clean my dog’s feet. This morning I used one to clean up spilled syrup that cascaded down all the drawer fronts to the hardwood floor. Easy peasy, and it rinsed right out of the pad. I’m pretty sure you could blow your nose on one in an emergency. When their work is done, I throw them in the washer and they come out like new with no retained odor, oiliness, etc. I don’t throw them in the dryer; they dry in a couple hours all by themselves. I don’t know how many cycles I’ll get, but I’ve already gotten my money’s worth out of the first pack. Great product. 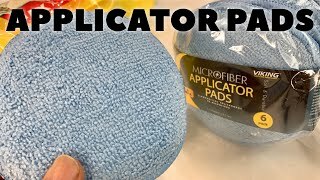 The 6-pack of rectangular microfiber applicator pads arrived well packaged (tightly wrapped in plastic). Upon inspection, all 6 packs were in good condition; no rips/tears/spots etc.I used one pad to apply some sealant to my vehicle, and the pad worked well. 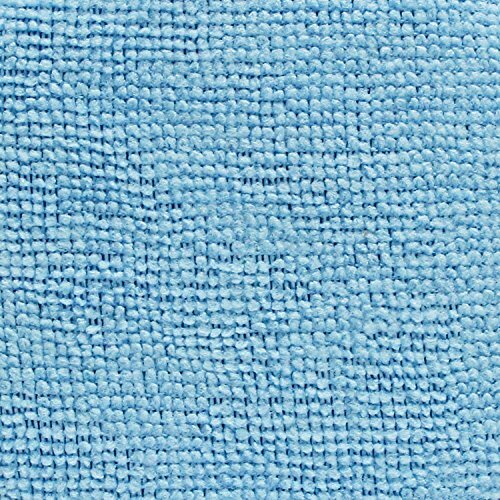 At first, I think it may have been so clean and absorbent that it sucked in some of the sealant, but after a while, this wasn’t a problem. The pad is large enough to fit comfortably in my palm, meaning that I can grip the pad confidently and apply anything, knowing that it won’t accidentally slide away from me, or just drop (happened to me often with generic circular flat pads).Washed the pad afterwards, and it appears to be as good as new. I have no idea if all the sealant was removed since the sealant is hydrophobic, but this is no problem, as I plan to use that specific pad for applying sealant only. I mean, I do have 5 other pads available!Price is very reasonable for what you get. Thing is, very few people would need 6 applicator pads, and for those who don’t, they may see the 6-pack as too expensive or a waste of money. Personally, I only needed 3 pads, but I don’t regret my purchase. That’s how good these pads are.I can’t speak for longevity, as I’ve only used a pad for one weekend. Will update at a later time if a pad unreasonably fails at something. 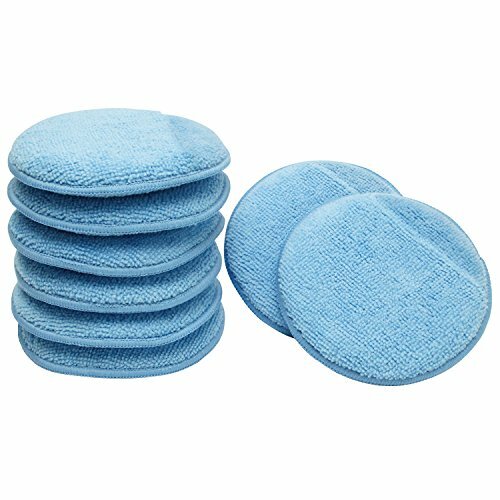 Great buffing pads to remove excess furniture polish, silver/brass/copper polish, leather conditioner…. 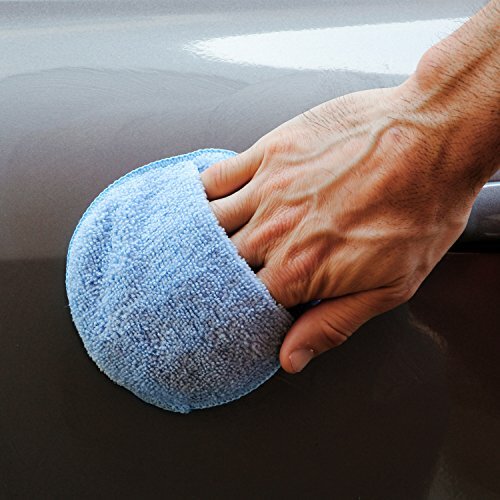 Used with “Daddy Van’s All Natural Unscented Beeswax Furniture Polish”.I bought these buffing pads as they showed up in the side bar when I bought the polish – I use old t-shirts or socks to apply the polish – and these to buff off the extra one the polish has sat for awhile. Very easy to use and do the job well…they just the right size, are padded, so you can really buff quite vigorously without hurting your fingers or the furniture.I haven’t washed them yet, but I think these are the sort of pads that you buy once and then bequeath to your heirs with the furniture.I’m planning to use a clean one when I recondition the leather chairs – they seem to be good for everything, including polishing/buffing silver/copper/brass items. Specialist repair advice from Haynes, the home of the motorcycle and car manuals. Specialist repair advice from Haynes the home of the car, motorcycle scooter and life interest manuals. Specialist repair advice from Haynes, the home of the car and motorcycle manuals.